In a geographic area that is best known for producing hockey players, it is interesting that some of the most noted local teamwork stems from a different sport altogether; specifically, MacTier Fastball. Fastball history in MacTier dates back to the 1930’s where teams played both softball and fastball. The war broke up baseball in the early 1940’s, but by 1945 teams were forming again, playing in Parry Sound, Britt, and Gravenhurst. The Intermediate “C” Team won the first big title for MacTier, in 1946. 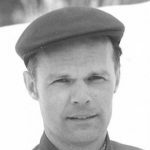 In the 1950’s, Aub Allsopp began his era with MacTier ball seeing the potential of the MacTier players, and also brought in players from other towns to fortify his teams. 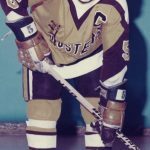 Over the following years, MacTier teams saw many successes with an Ontario Juvenile B Championship in 1964 under the coaching leadership of Gene Rouselle and Earl Thomas. This team included Sandy Heidman, who went on to play and coach the next title winners in 1969. 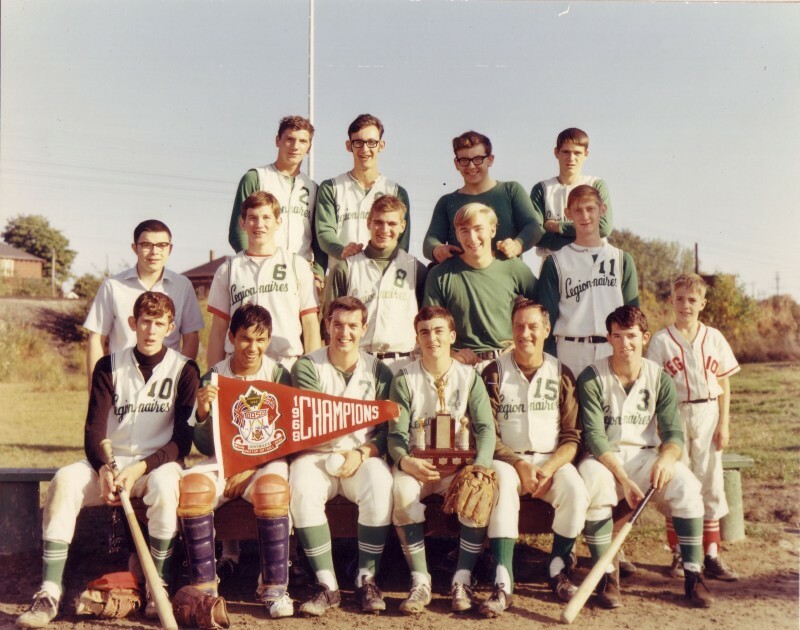 The bobby Orr Hall of Fame has inducted a Builder and a couple of Athletes connected to MacTier Fastball…It is time to look at one of the most successful Juvenile teams in MacTier Fastball history: The 1969 Mactier Legionnaires. The successes of earlier teams lead to a group of young players and dedicated coaches that spent much time developing their game. The 1969 Legionnaires were made up of friends and teammates who practised constantly because, plain and simple…they loved the game. Many of the team worked at Allsopp’s Red & White in MacTier. 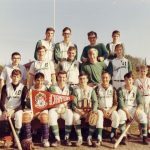 They had a very strong midget team at the time, winning the 1967 OASA Midget “B” ZONE championship; but, the team lost in the provincial finals. It is very hard to win a provincial title. Playing strong teams from larger centres, the guys matured; always showing up for games and daily practices. New players were picked up here and there. 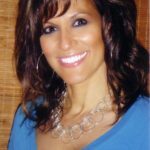 They continued to get stronger and more experienced. Their record and having a great Manager in Aub Allsopp, would get them into good tournaments and their strength and confidence grew. Each and every player enjoyed the game and the support of the MacTier community continued to grow. In 1969 they took on a strong team from Nottawa [near Collingwood) and defeated them two straight in a 2 out of 3 series. Nottawa was a very strong team and perhaps the best competition the Legionnaires faced in these OASA play downs. The team then advanced to play Mildmay [just south of Hanover/Walkerton] and did the same. Winning against Mildmay took the team east to Port Perry. The ball field in Port Perry has an outfield fence very close to the shoreline of Lake Scugog. With the strong pitching of John Young and clutch hitting, again the MacTier Legionnaires delivered. Finally, they met a team from Rostock (west of Waterloo and just north of Stratford). The Legionnaires were too fired up for them and although it was a no-contest final series, they won the All Ontario Juvenile “C” Championship at home in Mactier in front of their dedicated fans. MacTier always had a system of being strong up the middle with Merle Pegahmagabow catching, John Young pitching, Captain and second baseman Ron Blanchard and centre fielder Ron Clarke. They were a very strong defensive club and had a better than average offence, playing in a good Parry Sound men’s league then and also joined a very strong Muskoka Men’s league and won both leagues and play-off championships. Aub recruited strong players like Leon and Doug Thomson to fill in the roster and build a great team. In the Muskoka League, they faced teams like Bracebridge, Gravenhurst, Beaver Creek and Huntsville. The final season in that league, John Young won MVP. The town of MacTier had their Championship and celebrated the success honouring the players with a parade through town on the Fire Engine. Talk to any player on that team, and it is one of the best memories they all have. The team went on to play in a much better Orillia and District League against teams from Brechin, Warminster, two Orillia teams and Rama and again won first place but lost in the finals, all the time making them a stronger team. They played in very competitive tournaments against teams from Barrie, Oshawa, Lowville and St. Catharines and win or lose, were never afraid of any team they faced. The Legionnaires were known to be a competitive and proud team from a very proud community of MacTier. Great direction and a call for perfection was ever present from Aub Allsopp in not only who and how they played but how they were uniformed. The following year, the team competed and lost to Mount Albert in the finals on a no-hitter thrown by John Young, losing on a throwing error. The next year, they lost to Tavistock Evergreens two games to one in the finals and these records show everyone just how hard it really is to win a provincial championship. Little publicity has been given to this team of champions, yet when listening to their stories, the memories are bright and vivid in the hearts of those who were there.